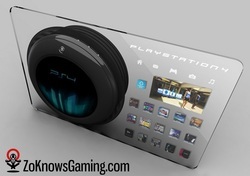 This one has the net on fire, with rumors that both the PlayStation 4 and the Xbox 720 will make their debuts at E3 2012. The rumors are apparently based on the fact that Sony has informed third-party developers that its next console will not be behind its competition. This seems to fall in line with comments made by PlayStation’s European boss, Jim Ryan, who said late last year that it would be “undesirable” for the PS4 to come out “significantly later” than its competitors. It’s been the best non-secret of the past few months Microsoft was ramping up to unveil their new console at E3. It’s a good assumption because the gaming landscape has changed a lot and I don’t know if either Microsoft or Sony would have the luxury to be a year or so behind the other. Gamers have learned that these companies aren’t loyal to them and they are less loyal to both brands in return. If the rumors hold true, it would mark the first time in E3 history that three brand new consoles all made their debut like this and could be compared head to head so early. But don’t get your hopes up too much just yet because the consensus is that we wouldn’t get any specific pricing or launch details for either console at E3. Honestly, I don’t think we need new consoles at this point and I would hope that neither console would make its debut before late 2013 at the earliest. It’s not that I’m not a fan of new consoles, but new consoles like these will come with new console prices and I think that does a disservice to a lot of folks. The PS3 and 360 ecosystems are strong right now, introducing new and more expensive consoles could really damage that, especially if they come in around the $599 range. So am I the only person that thinks that we don’t need new consoles just yet, that both consoles still have a decent amount of life left in them? I mean let’s be honest about this, only a select few developers get anywhere near maxing out the current gen hardware (Naughty Dog, Sony, Bungie, etc). Everybody else has room to grow. Late tonight, Sony announced that it will now return PlayStation Network services to PlayStation 3 owners. In the time since, all U.S. states and several other regions have had their services restored. As far as we can tell, Sony plans to restore service to all regions within the next several hours. Sony said in its blog post that "it can take a little while for the servers to populate fully," meaning that not everyone in the restored regions will be able to log on right away. Also, not everything is back online, but arguably the most important feature for most PS3 owners — online, multiplayer gaming — is back. You can also watch Netflix or Hulu Plus videos, contact your friends, and play back rental video content. Sony's music service Qriocity is also returning online, as are Sony Online Entertainment's online games for the PC and other platforms. When you turn on your PS3, you'll be prompted to install a software system update (version 3.61) which will require you to make a password change since your old password was compromised in the original cyber attack. Sony has not said what, if anything, this update does besides make sure that people change their passwords. There's a difference in timing between when we identified there was an intrusion and when we learned of consumers' data being compromised. We learned there was an intrusion April 19th and subsequently shut the services down. We then brought in outside experts to help us learn how the intrusion occurred and to conduct an investigation to determine the nature and scope of the incident. Original Story: Sony said today it believes personal identification information from registered PlayStation Network users has been compromised as a result of an illegal intrusion that has shut down the service for the past week. Sony also believes PSN logins and password information may have been illegally obtained. Patrick Seybold, Senior Director of Corporate Communications at SCEA said the company has hired a "recognized security firm" to fully investigate the matter and has strengthened the network's security in the meantime for further protection. Seybold also says that "profile data, including purchase history and billing address (city, state, zip), and your PlayStation Network/Qriocity password security answers" may have been obtained. Sub-account information may have also been compromised. There is also "no evidence" that credit card information has been obtained, but Sony is not ruling out the possibility. "If you have provided your credit card data through PlayStation Network or Qriocity, out of an abundance of caution we are advising you that your credit card number (excluding security code) and expiration date may have been obtained," Seybold said. "We thank you for your patience as we complete our investigation of this incident, and we regret any inconvenience. Our teams are working around the clock on this, and services will be restored as soon as possible. Sony takes information protection very seriously and will continue to work to ensure that additional measures are taken to protect personally identifiable information. "Providing quality and secure entertainment services to our customers is our utmost priority. Please contact us at 1-800-345-7669 should you have any additional questions." When the PSN originally went down, users who attempted to login were met with the 80710a06 error code. Now, a message reads "PlayStation Network is currently undergoing maintenance" if a PSN login is attempted.